We have finished the review worksheets on long vowels in Jolly Phonics book 4. Sk2 did a wonderful job sounding out long vowel words, Masha-Allah. In addition, SK2 are practicing, reading, and sounding out new sight words posted on the classroom door. Next week, we will be starting Jolly Phonics Book 5, InshaAllah. Reading: In our reading, we practiced reading long vowel words by taking turns. Also, Sister Madlein came to our class and read a book to us. This week, we did some more hands-on activities on area. 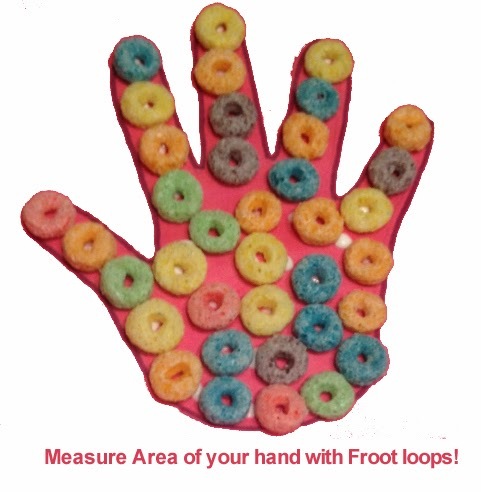 On Friday evening, during the Student Led Conference, we covered our traced-out hand print with Froot Loops to see how many Froot Loops we need to cover the area of our hand. 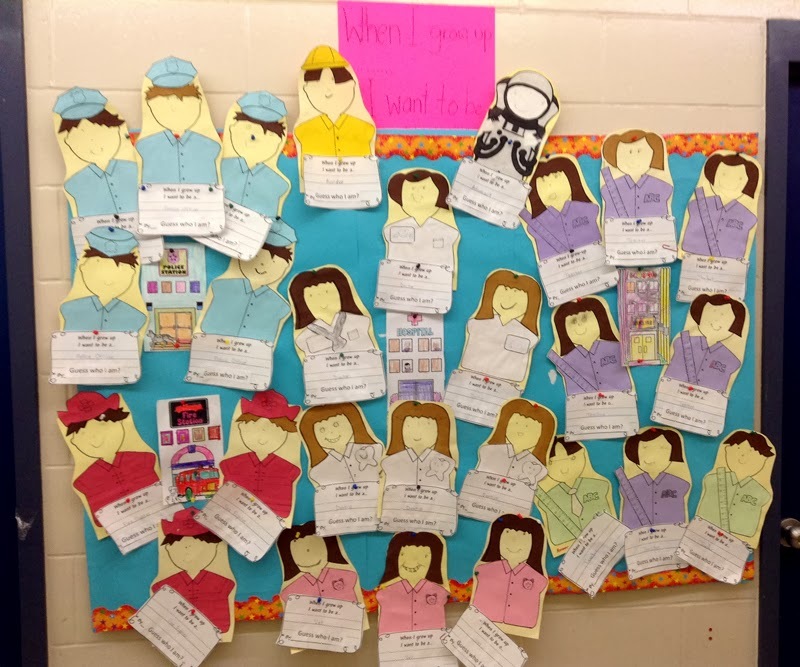 We finished our community helpers unit by making a cute craft about what we want to be when we grow up. Sk2 really enjoyed the craft and were really excited to show their parents on Student Led Conference night. Also, a big thanks to Sister Aisha for talking about working in Canada Post. She gave useful and fun information about mail service. In addition to this, we also did a group activity by making a 3D city out of paper bags. The paper bags were used to make various community buildings in the city. Sk2 did great job helping and working with each other as a group. Way to go, MashaAllah! We began learning about Salah (prayer).First we watched an educational video “Time to Pray With Zaki” and then took part in a quiz activity. Jazakallahu khairen to all of you for coming to the Student Led Conference. Sk2 students did a great job presenting portfolios to their parents. We will be going on a field trip to the Museum of Civilization on February 28, Insha-Allah.